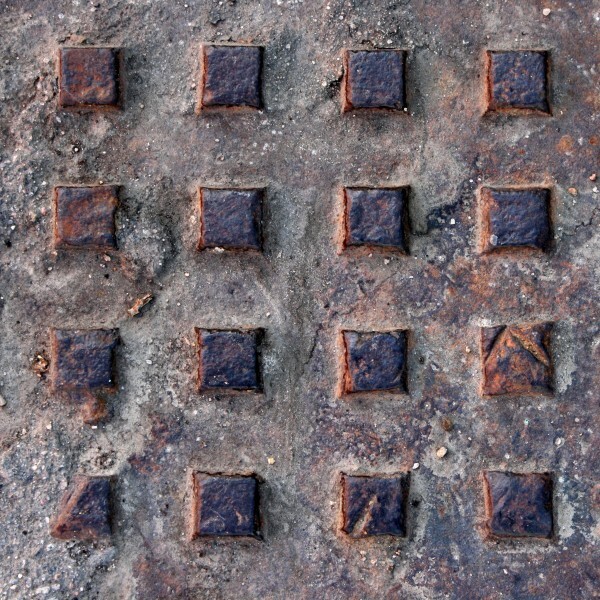 Free high resolution closeup photo of an old rusted manhole cover. This photograph shows the weathered metal texture with the square bumps of the manhole cover. The picture is free for any use, but would make a great web background or desktop wallpaper.